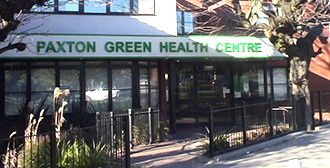 At Paxton Green Group Practice, we are committed to providing our patients with the highest standards of clinical care, support and communication. Online access applications are for patients 16 and over. You can now apply for access to all of these online services by completing a single online application form. Apart from Nominating a Pharmacy, access to all the other services will require you to attend the practice with proof of your identity. I have reviewed the online services section of the practice website and accept the terms and conditions relating to these services. I accept that it is my responsibility to maintain the security of any information that I see, download or choose to share with others. I will contact the practice, as soon as possible, if I suspect that any of my accounts have been accessed by someone without my agreement or if I see information in my record that is not about me or is inaccurate. The practice may withdraw my access to any online services, if it considers that they are being used inappropriately. I, hereby, confirm that the above patient has completed this application form correctly and has provided the necessary proof of identity and proof of residence required to gain access to their online medical records and the ability to book appointments and request repeat prescriptions online. I hereby confirm that I have reviewed this patient’s electronic records and consider them suitably clear and informative for the patient to be granted access.